This past weekend I caught it under a canopy covered road in north central Florida on my way to a secret birding spot. It was streaming through a tunnel of trees. The birding spot is one that I was asked not to reveal by the naturalist who took me there. We went to see Swallow-tailed Kites by the hundreds right as they get their first morning drink. We arrived at our location in time to see the sunrise, and it was spectacular. It’s one of my new favorite places and spaces and a precious day to “heart hold” on to. My memory is full of all kinds of sacred moments, stored in my personal data bank. I love how these feelings pop up when I’m reminded of some person, place or thing. I’m incredibly grateful for those sacred spaces that inspire awe and wonder in my life because I spent many years running and hustling through the days. I had a true gritty night shift while I was working as a nurse and had young kids. Shoot, Kristen my web designer goes in at 4am on the weekends for her other job, and she has young children too. 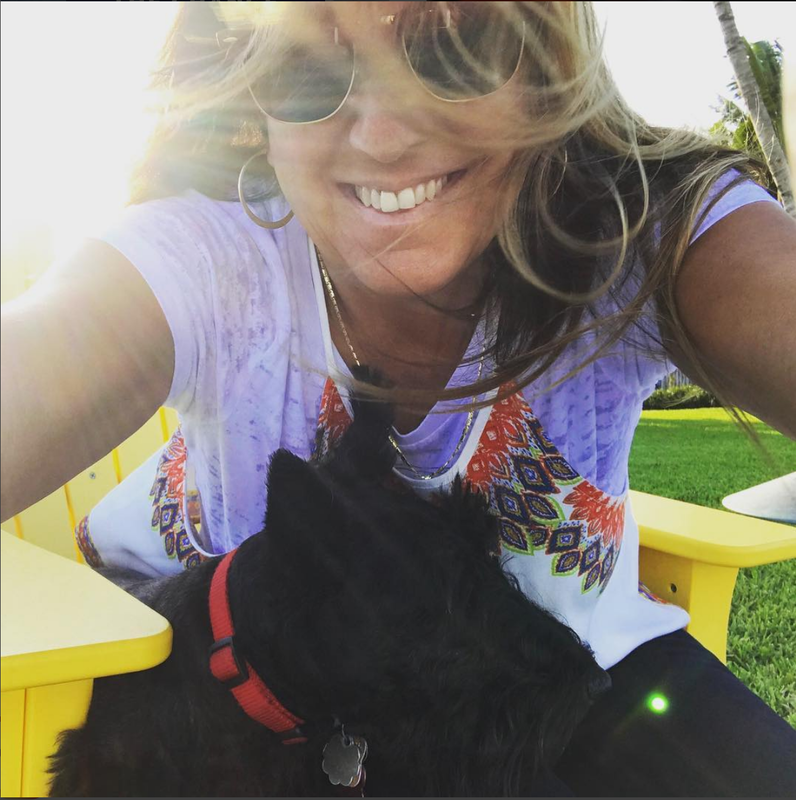 Raising my boys was everything because I took the job seriously. It’s the most courageous and rewarding job I’ve ever had, but let’s just be honest, parenting is difficult. The boys were not the challenge, though. It was navigating the world now as a family that was the true test of strength and character. Doing things the right way with grace and dignity was our path, and we had fun. But I wasn’t always looking at birds and first light. I was busy. Incredibly busy, and very focused. Here’s an example to illustrate the point: The birds are singing over head trying to capture your attention and greet you with a big hello. You barely see or hear them as you’re diligently buckling the car seat into your car. Your attention to detail is a necessity. It’s not something you take lightly. You want to look up, but your focus is on the most important thing in that moment; those tiny hands and bright eyes looking up at you as you get ready for the big day ahead. You’re asking yourself, did the backpacks and lunches make it to the car? Is the coffeepot off? Making it safely to the places you’re going is important. Looking out the window is not on the priority list, so you save it for later. Before you know it, it’s nighttime and you missed the new roses popping up, or the Cardinal couple at the bird feeder. Respect and loyalty to your project is where the peace of mind comes in. Not frantic action, but a focus on the sacred and the exact thing you are doing in the present moment. 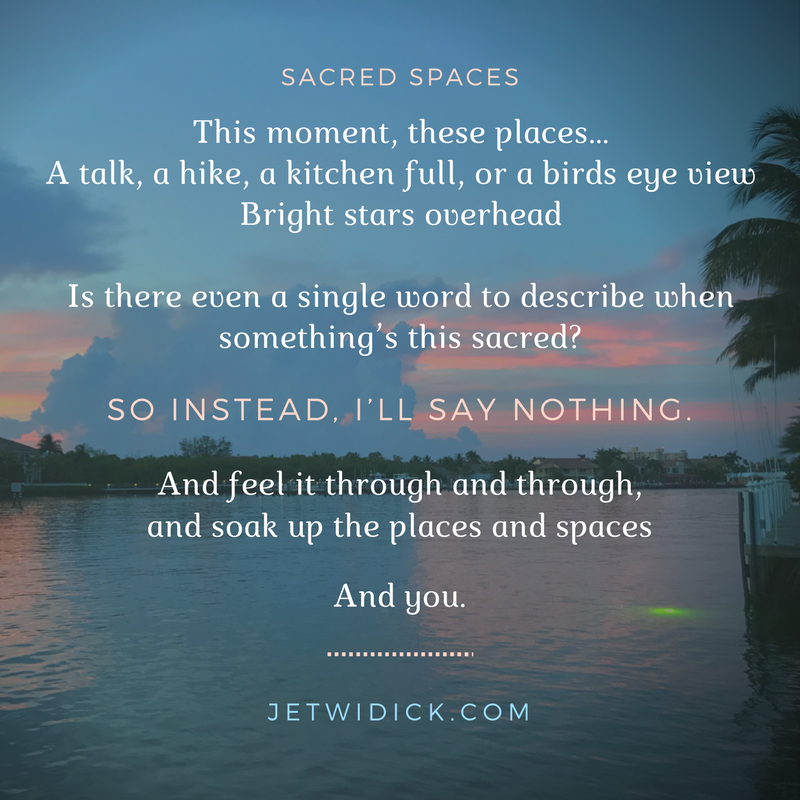 Sacred spaces can help you pause, unplug and reflect on the only work that really matters. If you only get a few minutes to spend in your sacred space, what would that look like? Maybe it’s a peaceful and uncluttered area in your home, or 10 minutes of quiet morning. It could be closing your eyes and thinking of things that you love to touch, hear, smell or taste, or a memory that holds a cherished place in your heart. I love summer, sandwiches by the water, big oak trees and birds sipping water at full speed. I marvel at watching children’s hands working on a project or drawing—not disturbing their focus as their young mind works away on something they love to do and make it their own. Or watching someone prepare a meal, devoted to the process. Yes, it can be an obligation when there are little mouths to feed, but when turning meal prep into a special family time, it becomes revered. Making space in your life for loving the world is key. It takes practice, but once it becomes a priority, it comes naturally and spontaneously. We become appreciative for our responsibilities and the joyful things life has given us. Is there even a single word to describe when something’s this sacred?